Barça Lassa will play in the Elite Round, but will do it as the second-placed team in the group. Their goal was to finish first after this win in the third game of the Main Round against Halle-Gooik (7-3), but a hat trick from Esquerdinha, Ferrao’s brace and goals from Aicardo and Adolfo, were not enough. Benfica, in the other group match, humiliated Kremlin Bicêtre (1-9), a goal difference that catapulted them to the top of the standings. The Blaugrana needed 12 minutes to lead by 4-0, a period of the match in which they had absolute superiority in all facets. However, the visitors came storming back to bring the score to 4-3 on 28 minutes. 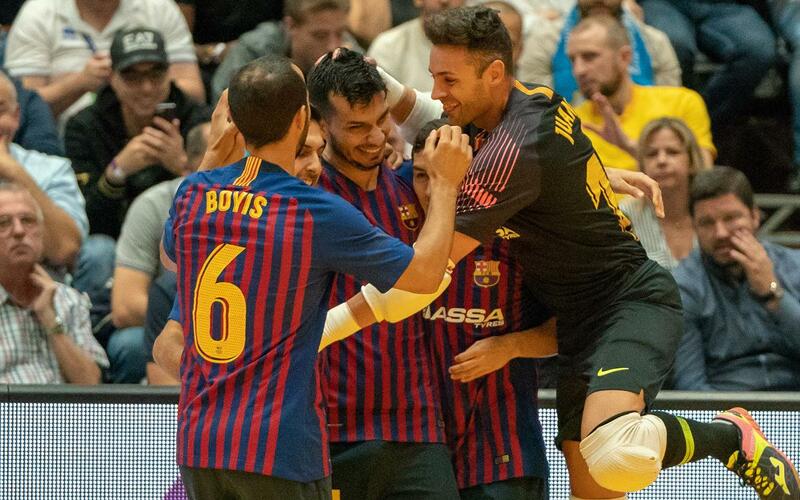 In the end Aicardo, with a powerful shot (5-3, min 30), Ferrao (6-3, min 33), and Adolfo (7-3, min 36) gave Barça Lassa some breathing space, and it was a lead they held onto until the final whistle.